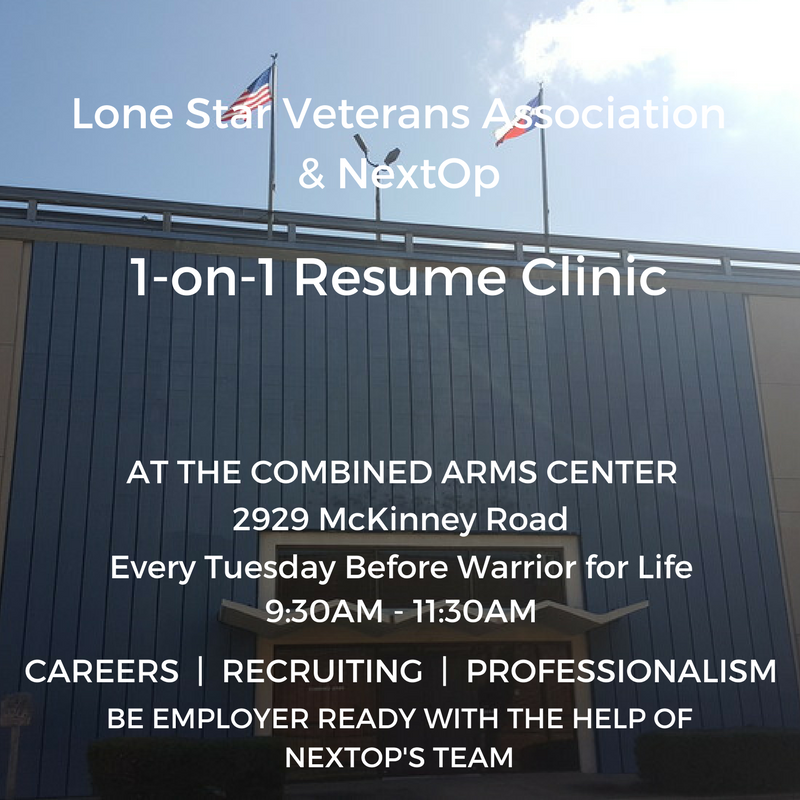 Come visit Lone Star Veterans Association and let the NextOp team help to develop your resume before you attend the next Warrior for Life event. This is a two hour open window to sit down with trained professionals on resume writing. If you already have a resume bring that in print and email to the host ahead of time if possible. This event will sharpen your presentation with employers later in the week. * We'll help translate your military skills into civilian experience. * Teach you how to read job descriptions and match your resume to the desired experience. * We'll show you how to express your experience clearly and concisely.